One of my greatest joys as a mother of school-age children is packing lunches and snacks for the day. This passion of mine is quite evident if you follow me on Instagram. Some of you ask me how I could be so happy over packing lunches when most people see them as a chore. 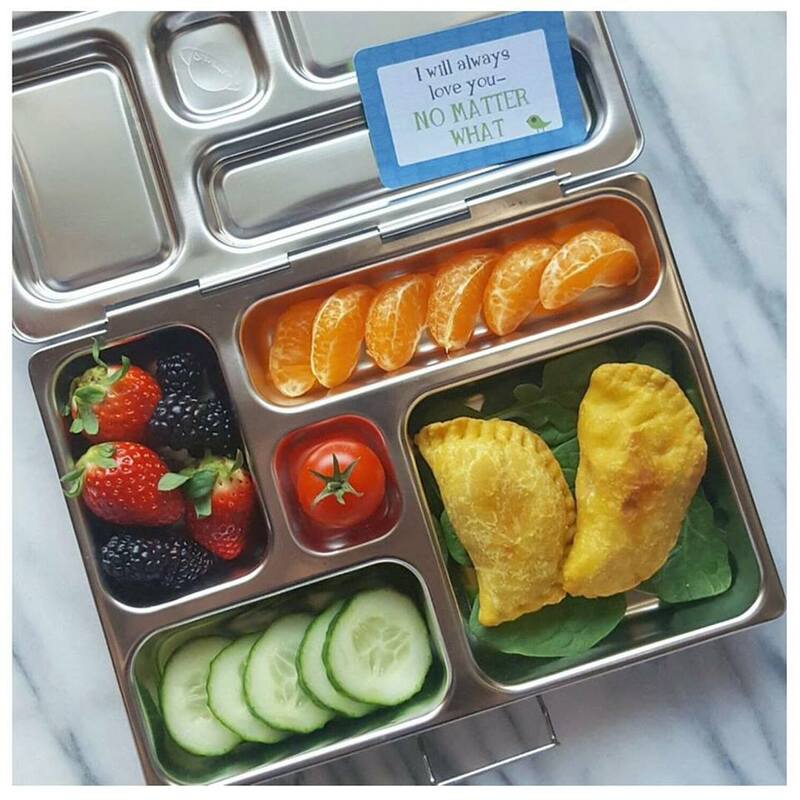 I don’t see packing lunch as a chore — Instead I see it as an investment in my children’s health. Having the right lunch essentials also makes packing more enjoyable and convenient. 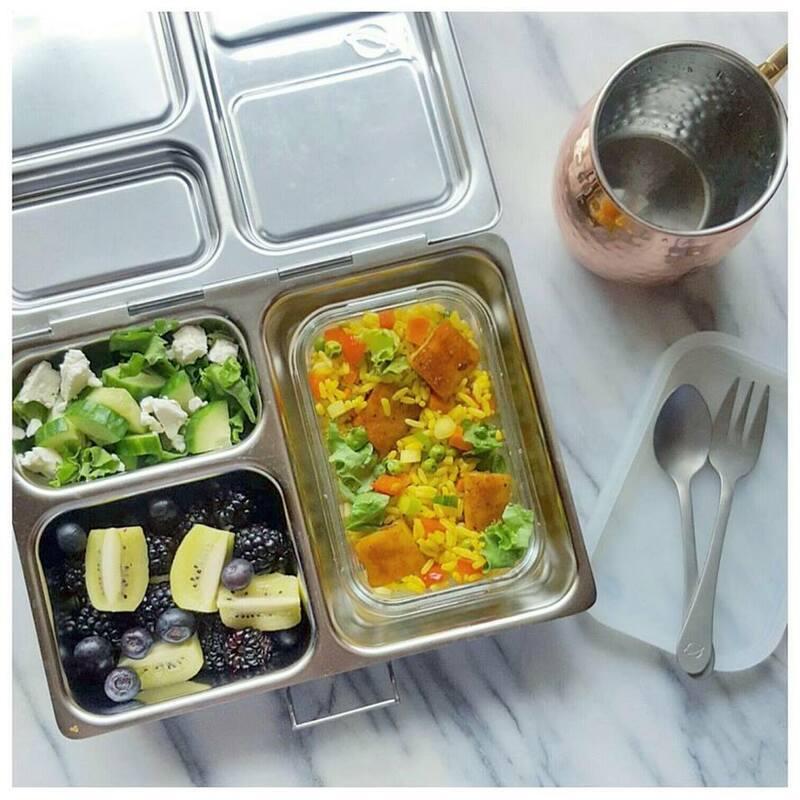 I have a variety of lunchboxes that I use for Akshaya and Udayan as well as a many different lunch accessories. Every day I receive emails inquiring about the different kinds of bento-style lunchboxes, where to purchase them, and the pros and cons of each. 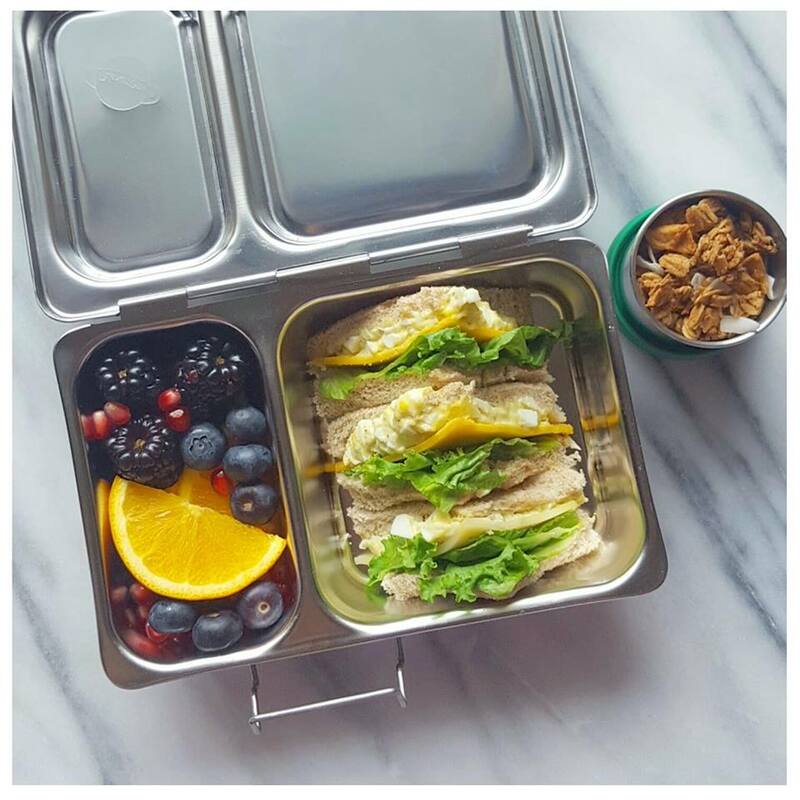 Due to popular request, I will be posting reviews of my favourite lunchboxes and lunch essentials throughout the next couple months and hopefully it will help those of you shopping around for lunch systems. 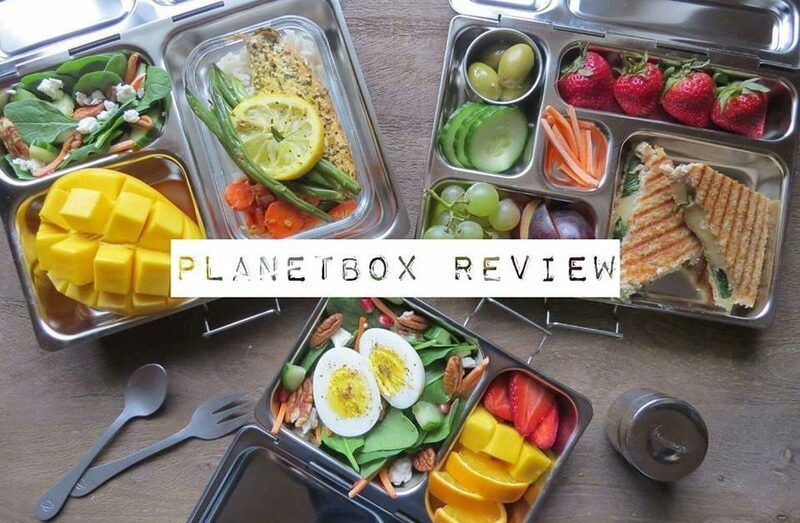 In today’s post, I will be discussing one of my favourites – The Planetbox. I initially looked into the Planetbox after the children suggested a lunchbox as a birthday gift for their father who unfortunately doesn’t make the best food choices. It was their way of encouraging their father to eat more healthy foods. 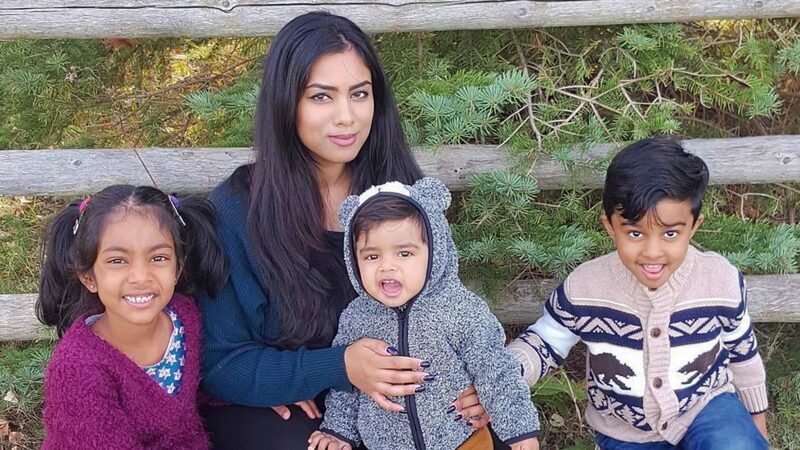 However, as soon as Akshaya and Udayan saw their father’s beautiful stainless steel lunchbox, they requested one of each of them as a Christmas present. A lunchbox for Christmas? I gladly ordered two in place of a useless toy that nobody would look at twice and the kids and I couldn’t be happier with our choice. We have been using our Planetboxes for about four months now and l am happy to report that I have no complaints, thus far. I do own all three sizes of the Planetbox and love them all for a variety of different reasons. The wonderful people at Planetbox were generous enough to send me a Planetbox Shuttle, along with a carry bag and magnets. The Shuttle is the smallest lunchbox of the three with a total capacity of 3.5 cups. The perfect size for carrying a small meal or snack, the Shuttle consists of two compartments and comes with a Tall Dipper container perfect for holding dips or foods such as nuts, seeds, and trail mix. The Shuttle retails for approximately $59.99 CND. For elementary-school age children, I would highly recommend the Planetbox Rover. With five compartments and a total capacity of 5 cups, this lunch box offers variety and versatility. 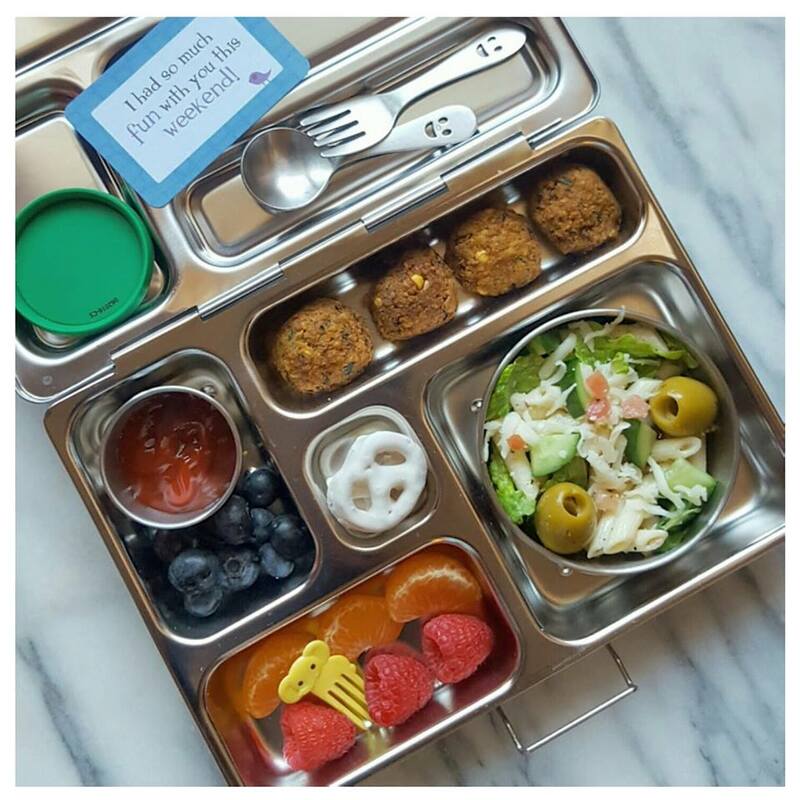 It is a great lunchbox for little ones that eat little portions of a variety of things. 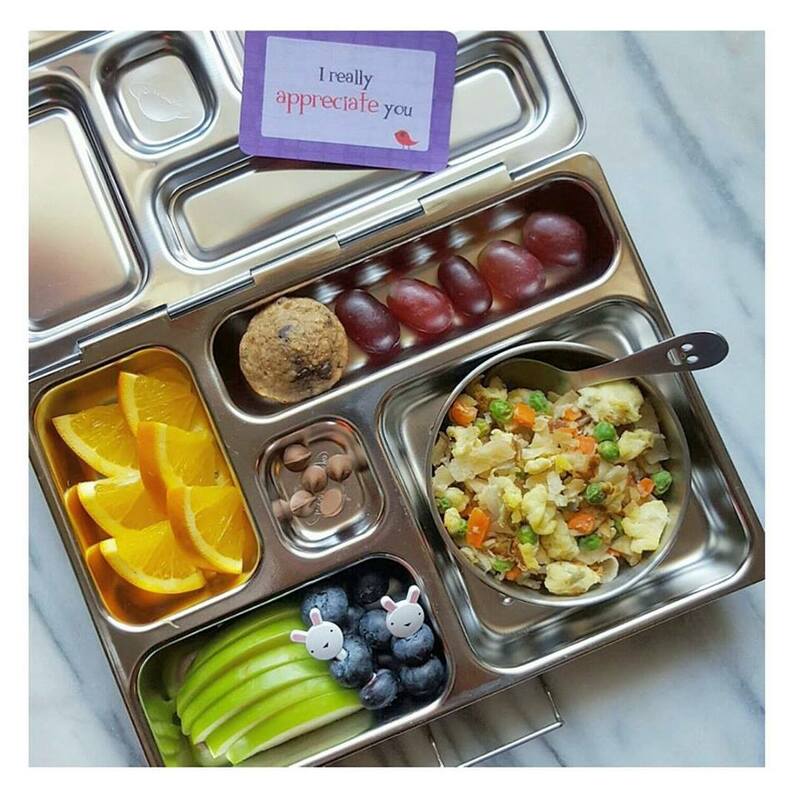 I find offering small portions of a variety of foods encourages children, especially those that are picky, to eat their lunches. The Rover comes with a Little Dipper container perfect for sauces and dips, as well as a Big Dipper container perfect for packing messy foods such as yogurt, salads, or lots of juicy fruit. The Rover is also a good choice for adults with small appetites like myself, or those who prefer eating smalls portions of a variety of foods. The Rover retails for about $83.99 CND. The Launch is a great size for older kids and teens with a big appetite or adults who spend most of their day away from the home. It contains three spacious compartments for a total capacity of 7 cups, and comes with a leak-proof Tall Dipper container. The Launch is compatible with an optional satellite dish made of microwave-safe glass, which can be used to pack leftover foods which require reheating. This is a wonderful option for those that work in the office or university/college kids where they will have accessibility to a microwave. The Launch retails for approximately $89.99 CND. Akshaya and Udayan really enjoy arranging the food neatly in the spaces provided in their Planetbox Rover. 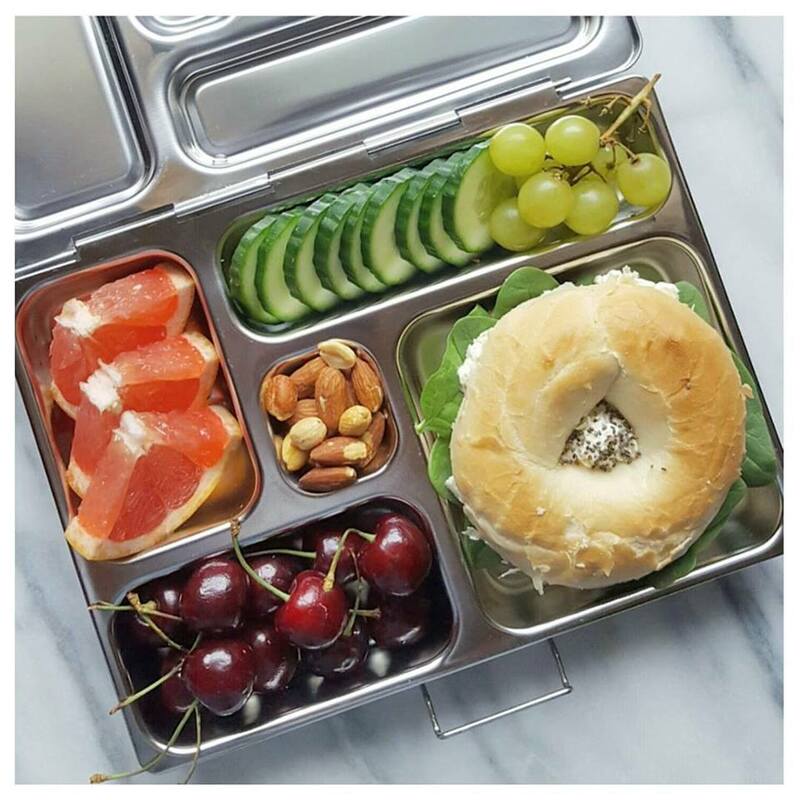 By engaging my children in the lunch-packing process, they get the opportunity to learn about a wide variety of foods, balanced eating, and how to make healthy food choices. Hopefully this is just the beginning of a lifelong commitment to healthy-eating. Unfortunately the Planetbox is not insulated and therefore does not keep cold foods cold or hot foods hot. Hot foods should be packed at room temperature and cold foods should be packed with an ice-pack. Magnets should be removed prior to washing. It is best to dry the Planetbox immediately after washing to prevent water spots from appearing. With regular use, the Planetbox will show normal signs of wear and tear such as fine scratches. DO NOT clean with an abrasive sponge or brush to minimize the occurrence of scratches. Check out www.planetbox.com for their line of icepacks, lunch bags, utensils, insulated bottles, and other accessories. Canadian retailers include: The Ninety Ninth Monkey and Readi Set Go. 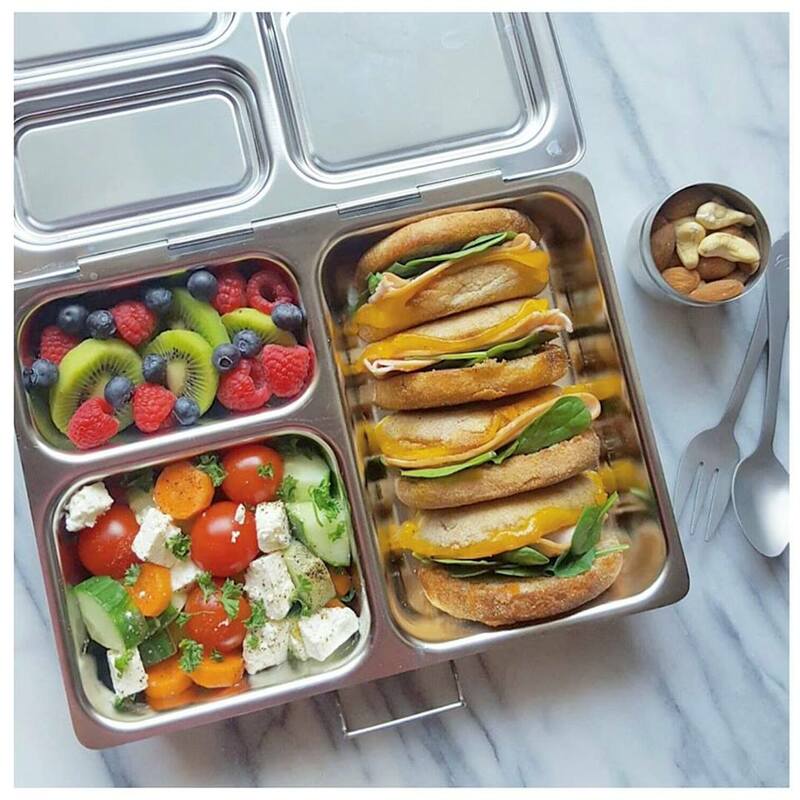 For more lunch inspiration and ideas follow me on Instagram HERE. Good helpful review – I have bought the rover for myself and am considering the launch.